A Special Irish – Italian Night! 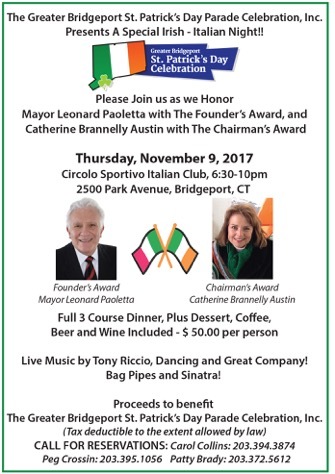 Please join us as we honor Mayor Leonard Paoletta with The Founder’s Award, and Catherine Brannelly Austin with The Chairman’s Award. Live Music by Tony Riccio, Dancing & Great Company! Bag Pipes and Sinatra! 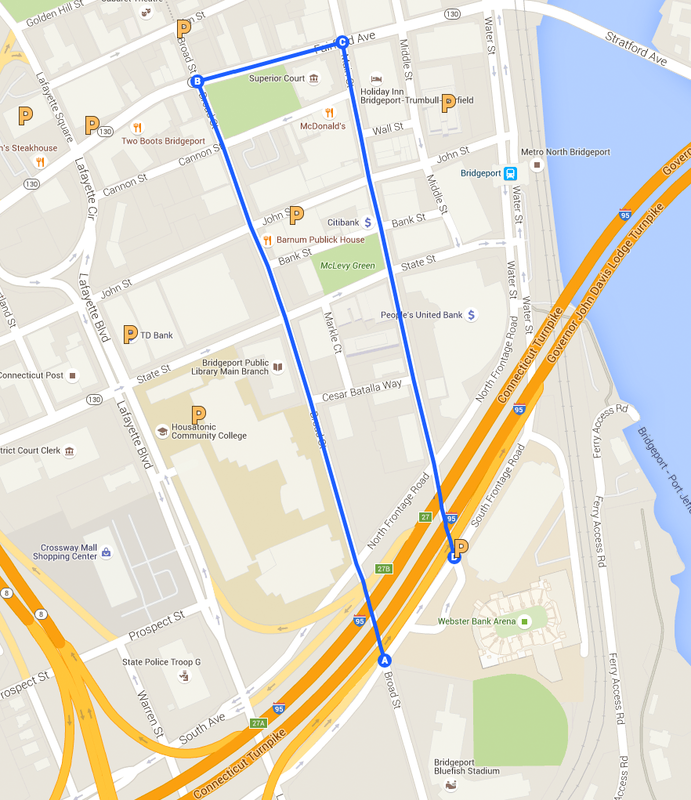 Proceeds to benefit The Greater Bridgeport St. Patrick’s Day Parade Celebration, Inc.
or click on the Buy Now button at the top of the right column.